Gordon Ramsay has opened his fourth restaurant in Las Vegas, his Gordon Ramsay Fish & Chips at The LINQ Promenade near the Strip entrance, joining Gordon Ramsay BurGR at Planet Hollywood Resort & Casino, Gordon Ramsay Pub & Grill at Caesars Palace and Gordon Ramsay Steak at Paris Las Vegas. The quick service outlet allows guests to view the chefs in action as they prepare the made-to-order menu items that include battered sustainable Alaskan cod filets, sausage, gulf shrimp, chicken and a fish sandwich. Hand-cut chips are offered slightly salted or seasoned with truffle and Parmesan; chipotle, jalapeño and chorizo; or cacciatore spice and fresh basil. In addition, sweets including the Sticky Toffee Pudding shake are available. Gordon Ramsay Fish & Chips is open daily from 11 a.m. with indoor and outdoor seating for more than 40 guests. Gordon Ramsay Fish & Chips, The LINQ Promenade, 3535 Las Vegas Blvd. S., Las Vegas, NV 89109, 800-634-6441; 702-322-0529. Monte Carlo Resort & Casino has closed its pool, as well as outlets located along Street of Dreams, including The Pub. The closures are part of the resort’s $450 million renovation. By the end of 2018, the property will become two hotels: the 2,700-room Park MGM and the 292-room NoMad Las Vegas, which will occupy the top three floors and be part of New York’s Sydell Group. The NoMad will be home to The NoMad restaurant, helmed by chef Daniel Humm and restaurateur Will Guidara. Park MGM will boast Italian marketplace Eataly, a venue by Mario Batali and Joe Bastianich, with cafes, to-go counters and full-service restaurants with products from sustainable Italian and local producers. Monte Carlo Resort & Casino, 3770 Las Vegas Blvd. S., Las Vegas, NV 89109, 702-730-7777, 888-529-4828. Emeril Lagasse's Delmonico Steakhouse at The Venetian will celebrate truffle season with a special menu offered from November 7-13. Chef de cuisine Ronnie Rainwater has created eight dishes featuring the delicacy: escargot over wild mushroom puff pastry and fresh black truffles; soft potato purée, poached golden fertile egg, fried artichokes and shaved white truffles; poached Nigerian prawn salad with fresh white truffles; duck and foie gras terrine with fresh black truffles; braised veal cheeks with fresh black truffles; lobster risotto with white Italian truffles; and white truffle ice cream with goat cheese crêpe, blood orange caramel and fresh black truffles. 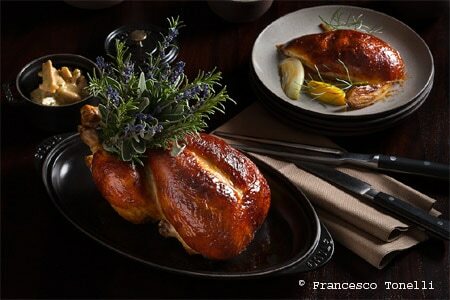 The truffle week menu will be available during regular dinner hours. 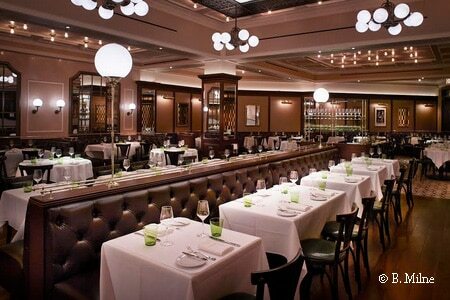 Delmonico Steakhouse, The Venetian, 3355 Las Vegas Blvd. S., Las Vegas, NV 89109, 702-414-1992. The Hard Rock Hotel & Casino is offering Happy All Day & Night Cards with deals for Nevada residents every Wednesday. Cardholders receive 20 percent off lunch and dinner menus at Pink Taco, Mr. Lucky’s Café and 福Fú Asian Kitchen; two-for-one cocktails at all casino bars and Goose Island Pub from 4 p.m. to midnight; complimentary Goose Island beer flight with any food purchase at Goose Island Pub; and live entertainment, aerialists, drawings and giveaways at Center Bar from 4-8 p.m. Nevada residents can show their ID’s on property at the casino cage, Pink Taco, Mr. Lucky’s Café and 福Fú Asian Kitchen to obtain a Happy All Day & Night Card. Hard Rock Hotel & Casino, 4455 Paradise Rd., Las Vegas, NV 89169, 702-693-5000, 800-HRDROCK. To celebrate its 31st anniversary, Ferraro’s Italian Restaurant & Wine Bar will serve a special anniversary three-course menu from Nov. 5 through Nov. 13. Priced at $31.31 per person, the menu will include choice of appetizer, such as grilled house-made spicy sausage, calamari fritti, house-made meatballs or Nonna’s stuffed pepper; choice of main course, such as house-made spinach ravioli, lasagna, braised rabbit, roasted salmon or eggplant parmigiana; and Ferraro’s dessert sampler. 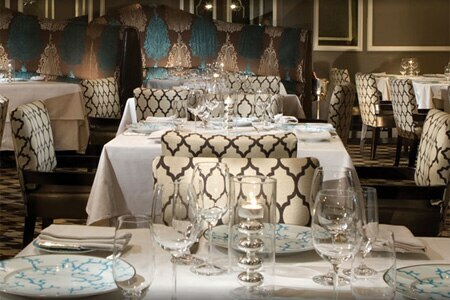 Ferraro's Italian Restaurant & Wine Bar, 4480 Paradise Rd., Las Vegas, NV 89169, 702-364-5300. Chef Alain Ducasse’s Rivea, located at the top floor of the Delano Las Vegas, with 180-degree views of the Vegas Strip, will celebrate its one year anniversary with a celebratory prix-fixe menu, offered throughout the month of October. Executive chef Bruno Riou has created a menu that is a balance of traditional small plates and entrées, guest favorites and frequently requested specials. Priced at $115 per person, the dinner will include a selection of apéritifs including roasted panisse, Provence caponata and marinated sea bass crudo; ox cheek and cocoa tortellini; John Dory served with clams, calamari, prawns, fennel and purple potatoes in a bouillabaisse broth; Angus filet mignon topped with foie gras and black truffle sauce; and dessert of limoncello baba sponge cake soaked in limoncello and topped with whipped cream. 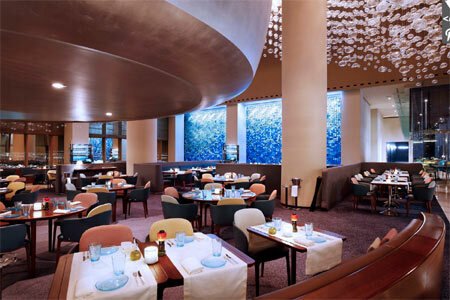 Rivea, Delano Las Vegas, 3940 Las Vegas Blvd. S., Las Vegas, NV 89119, 877-632-5400. Throughout the month of October at South Point Casino, the restaurants Don Vito’s, Primarily Prime Rib and Silverado Steakhouse will offer a wine of the month special featuring bottles of William Hill Central Coast Chardonnay or William Hill Central Coast Cabernet Sauvignon for $20 per bottle. In addition, for each bottle sold, $1 will go to the Epicurean Charitable Foundation, a local charity that benefits local students through scholarships and unique mentorship opportunities. South Point Casino, 9777 Las Vegas Blvd. S., Las Vegas, NV 89183, 702-796-7111. DB Brasserie, the restaurant designed like a classic Beaux Arts train station that Daniel Boulud opened at The Venetian in 2014, will be closing. A press announcement from Boulud and the Dinex Group stated, “We have made a common decision with the Sands group that in mid-January 2017 we will be closing DB Brasserie at The Venetian…at this time we want to put all our focus on our other restaurants, our partners, and the future developments of our group." DB Brasserie, The Venetian, 3355 Las Vegas Blvd. S., Las Vegas, NV 89109, 702-430-1235. Both locations of i♥burgers at The Venetian and in Town Square have closed without prior notice. A message on the restaurant website from i♥burgers Management states, “We would like to thank our loyal guests and employees who have made the last six years a wonderful experience, but both i♥burgers locations in Las Vegas have closed.” Both restaurants opened in 2011 and were part of the LEV Restaurant Group and known for serving beef, buffalo, turkey and vegan burgers with creative toppings and spiked milkshakes. Neither The Venetian nor Town Square have announced a replacement. i♥burgers, Town Square, 6605 Las Vegas Blvd S., Las Vegas, NV 89119, no phone. Andre’s Monte Carlo closed after service on October 5, 2016. The press statement read, "This October, Andre's Restaurant & Cigar Lounge at Monte Carlo Resort and Casino will be closing. The legacy that was built by André Rochat more than 35 years ago will continue; management will announce the next chapter for Andre’s shortly. We have enjoyed a fortuitous relationship with MGM Resorts International since Andre's opened in 1997. We look forward to the future and thank our colleagues and community for their ongoing support and patronage." Andre’s Monte Carlo, Monte Carlo Resort & Casino, 3770 Las Vegas Blvd. S., Las Vegas, NV 89109, 702-798-7151.